BxA Gaming is excited to now be sponsored by StickerItch. 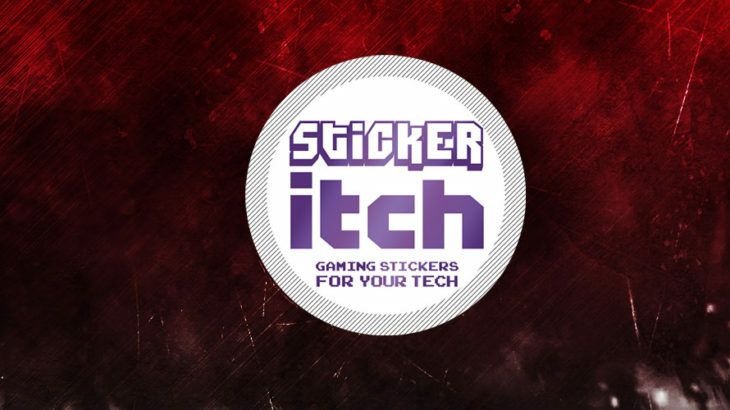 StickerItch is dedicated to bringing Gamers Premium Quality Removable Device stickers, tailored towards Twitch Streamers, Gaming Fanatics, and eSports Teams and Organizations! Our GOAL is to support Gaming, Gamers, eSports Teams, and eSports Organizations everywhere. Their AIM is to encourage and support professional behavior and high moral standards in a rapidly growing Global eSports Industry. These premium stickers can be placed on just about any smooth, flat surface without worrying about damaging expensive equipment. There is no sticky residue upon removal and it is completely safe to put on your expensive laptop, console, PC box or monitors! The stickers are protective with a long-lasting UV glossy layer, giving them a beautiful shine. The logos and team colors are printed with photo-quality resolution, showing off your logo with the most accurate colors and pixel definition. They are durable and can last a long time if treated well. StickerItch.com stickers go great on XBOX cases, PC Cases, Laptops, Monitors with Flat backs, TV’s (in the corners) and on Devices such as Tablets and Smartphones (if they fit). They go great on PS4 and other Mini Gaming Boxes. They even work well on Tables, Chairs, and other Flat surfaces at your event. To purchase BxA Gaming stickers visit our team store at: http://itch.team/bxa/. At checkout enter our discount code: BxA. Visit their website at: http://stickeritch.com/.Follow them on Twitter @StickerItch and on Facebook at: https://www.facebook.com/stickeritch/.